Cable #158 Review – AiPT! Get a lesson in survival and Cable’s leadership skills. I’m not a big X-Men guy, but Lonnie Nadler and Zac Thompson’s Cable arc has made me love the character and the history. Other series have had the same effect, but this comic is so damn good at mixing in history and character development I can’t put it down. The fourth chapter drops this week with Cable #158, but is it good? This issue takes place in the past when Cable was just a boy and a few years ago when Cable was the leader of X-Force. It’s another slice of history for Cable and his long battle of saving the future. 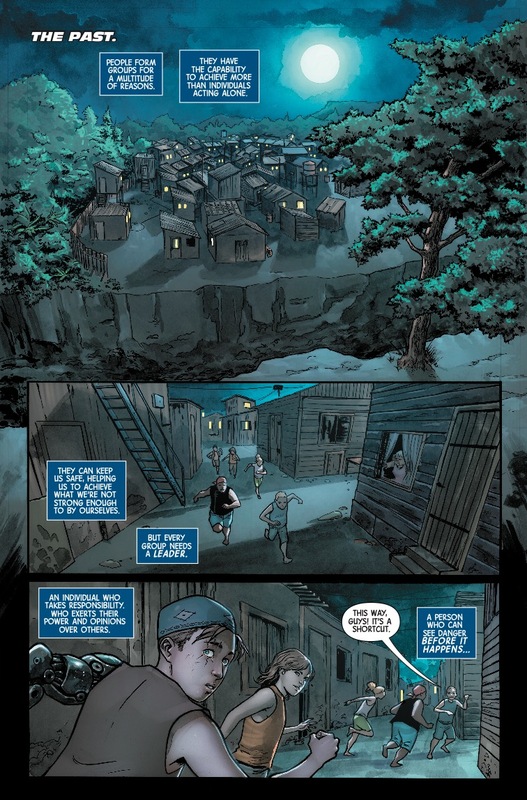 The previous chapters have explored different times in Cable’s life and this a new one. Young Cable is a cute kid. 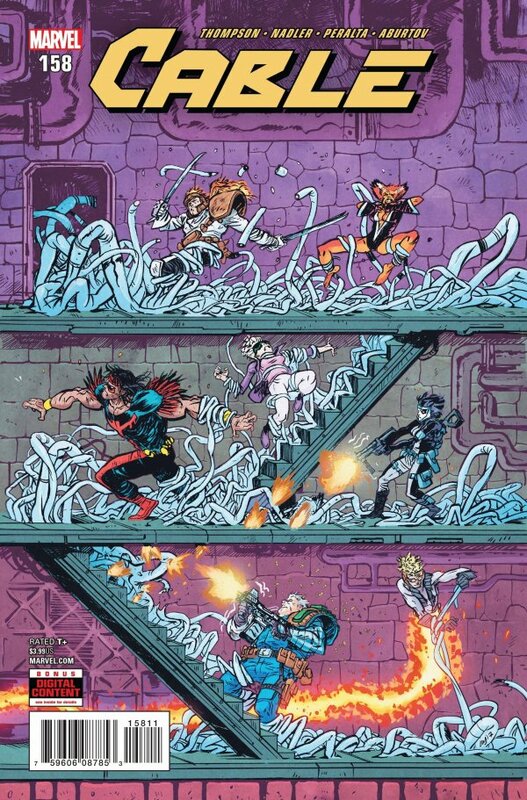 This issue revolves around Cable building a Danger Room for his X-Force to train. They’re still a bit wet behind the ears and his leadership is paramount to their survival. In a key scene early on Domino makes it clear Cable is the best leader for this team because he didn’t seek this role out, but thrust on him. It’s a nice moment between Cable and Domino further revealing lost moments he’s had over the years. Surprisingly fans will be talking about Deadpool in this story more than anything else. He’s written very well with catchy dialogue and attitude. He also puts the X-Force through the ringer. German Peralta draws these scenes very well, blocking the action scenes so the fighting is easy to follow. You get the sense Cable has trained this team well and they fight as a unit which basically puts the opening question of “is Cable a good leader?” to the test. The nightmare that has been chasing Cable throughout time continues to be horrific and quite creepy due to Peralta solid art too. Since this is a time travel story that seems to begin and end at random, the narrative loses touch with the deeper meaning. There isn’t a core that you can hang onto making the lessons learned, and the battle with the beast, somewhat flat in retrospect. I’m hoping the final chapter pulls it all together, but at this stage, I’m unsure how it plays out. This is a story arc that plays around with Cable’s history, which seems like a no-brainer given he’s a time traveling hero. It also sounds like a feat not even worth attempting because you’d have to make sense of a long history of time travel! This series has been a delight for a variety of reasons and this issue continues that trend.